Just like the human body is a synergy between different organs and a human being cannot function if anyone fails, so is the holy institution that goes by the name, Indian Institute of Foreign Trade. This sprawling 6 acres cross-section area of the body is situated in the heart of New Delhi in the Qutub Minar Institutional Area. The library is the brain of IIFT which is a consortium of 84,000 volumes and with subscriptions to 800 journals with online cataloguing. The library also has a collection of publications of FAO, IMF, OECD, UNCTAD, UNCTC, World Bank, and other international agencies. All brainstorming and world-changing ideas are generated in this organ. The ‘Wings of Wisdom’ is the heart of the institute which stands tall right in front of the academic block beaming with pride. It breeds life into the body of each one on campus. The three facilitators, the limbs of the body, IIFT are the hostels viz., Old Hostel, New Hostel and C9. The C9 boys get a good exercise every day in the midst of this hustle-bustle world. The mess enables the students to wind up after a long day playing Table Tennis in the hostel or just sit and gossip with buddies about the shenanigans of the day/night. Nescafe is the name on the lips of every student after 11 p.m. as it is the heartbeat and the glow on the face after getting a hot plate of Maggi and an iced tea is unparalleled. Sanjay Van on the back and Laxman Dhaba on the front provide oxygen to the campus and is a sigh of relief in the scorching Delhi heat. 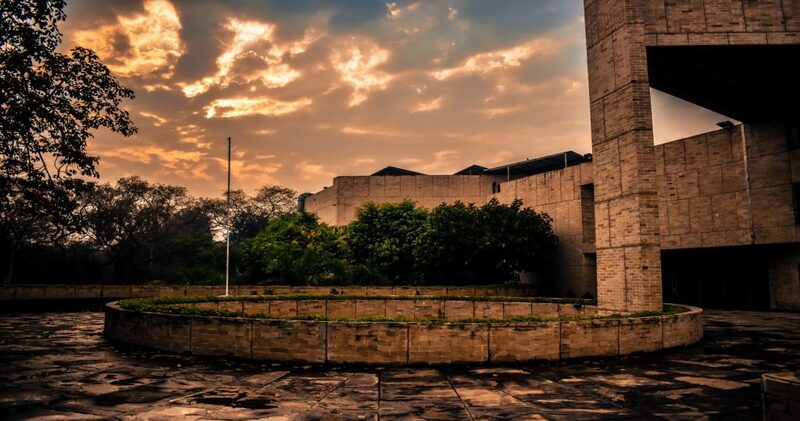 The last but not the least is the students which constitute the soul and are the reason for the glory of IIFT. The campus is always bubbling with happy, sometimes stressed faces running around meeting deadlines or getting ready for a party. Happiness and pride are the emotions that are inevitably embedded in every fibre of every soul here. Having spent a mere two weeks here, I already feel like IIFT is an inseparable part of my existence and vice-versa. My identity hence changed since 25th June, 2018. “An IIFTian for life”. I would like to work with the financial services wing of Aditya Birla Group, Aditya Birla Capital as I feel the values of the company align with mine and it would be a mutually benefitting stint.